Is your kitchen a headache for you? Thinking on a style upgrade? Many people want to make their kitchens more comfortable to be in, but don't have the first clue where to start. Here's a few ideas. Hide your garbage can - One of the first projects that you can undertake is moving your kitchen garbage can to an out-of-sight place, like under your sink. This is a simple project that you can undertake yourself, and will help simplify your kitchen's look, on top of increasing your floor space. You can also take this as an opportunity to consider whether or not you'd like to try your hand at going green. Consider making a separate hidden bin under your sink for recycling. 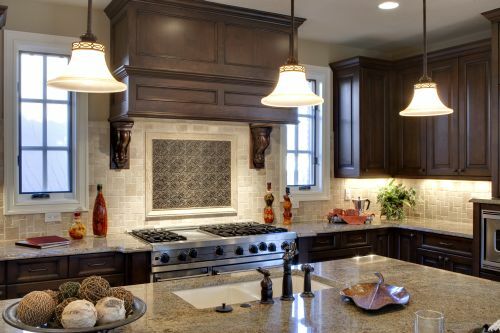 Under-cabinet lighting - Under-cabinet lighting is an easy way to add some ambiance to your kitchen. You can install strip-lighting under your cabinets yourself, or hire a contractor to install a few. This will serve to highlight certain aspects of your kitchen, which can't really be done by relying solely on overhead lighting. Tile backsplash - Installing tile in the area between your cabinets and cupboards will make cleanup nice and easy, while adding a bit more style to your kitchen. Solid surface countertops - This is one of the big remodels, but it is also one of the most beneficial. If you live in a home with laminate countertops, then it may be time to consider upgrading to something a little more style-conscious and useful, like granite or marble. For more ideas, visit http://www.houzz.com/photos/kitchen. Is your bedroom in need of a slight makeover? Surprisingly enough, many people don't spend too much time thinking about how their bedroom looks. How many times have you been on a tour of a friend's new home, and the tour stops short of their sleeping area? If you don't want to fall into the trap of feeling like your bedroom isn't a "show off" room, then take a few steps to jazz it up a bit. By paying a little attention to a few areas in your bedroom, you can leave that door open with no shame. New Bedding - Depending on your sleeping preferences, your bed may well be the biggest piece of furniture in your home. Coincidentally, your bedding may also be one of the largest decorations in your home. Do you like your bedding? Does it match your home and personality well? If it leaves you wanting, then consider outfitting your bed with a new bedding set. With this one improvement, the entire mood of your bedroom can change. If you can manage to find curtains or drapes that complement your bedding, it will tie your bedroom together in a big way. Floors - Bedrooms may have the least amount of floorspace visible, but that doesn't mean that they should be neglected. Consider buying a decorative rug for your room. Or, if you're feeling adventurous, consider installing a new carpet or flooring. The sky is the limit here, and any change made is likely to be an improvement. Laundry - Piles of unfolded or dirty laundry can be an eyesore. Even a visible laundry hamper is enough to be a distraction. Consider outfitting your closet door with a hanging laundry basket, or instituting a "no dirty laundry in the bedroom" rule for yourself. 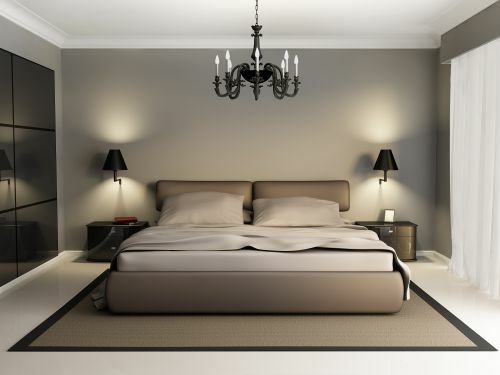 Lighting - If you rely solely on overhead lighting in your bedroom, then consider buying a lamp or two. Lamps will serve to highlight your furniture, as well as create a more relaxing environment. Where you place your furniture can make a big difference. It sets the mood and tone for that room. Most homes are filled with furniture-arranging challenges. Follow these simple tips to turn your design dilemmas into successful arrangements. 1. Take Measurements The first step in arranging a space is to know the size. Determine the dimensions by measuring with a tape measure. You will want to know the dimensions before shopping for any furniture. If the room is not square you may want to also do a drawing to bring shopping with you. Make sure to also measure the doorways, dimensions of the hallways, and stairs that lead into the space. You will want to make sure any purchases you make will be able to fit into the room. 2. Mix It Up Choose furniture of different volumes; each piece of furniture has a height, depth and width mix up the pieces to create an interesting look. If you want a modern or peaceful feel keep the volumes of the pieces similar. 3. Remember Scale The size of pieces should be relative to the space. If you are furnishing an older home with smaller rooms adding large overstuffed furniture makes the room feel crowded and out of place. Alternatively, if the room is large having small pieces seems odd. 4. Create Relationships Furniture and accessories have relationships with other items in the space. You will want to create balance; it could be symmetrical or asymmetrical balance. Asymmetry is an imbalance. For example, place two similar accessories of slightly different sizes next to each other. Symmetry would be two accessories that are the same next to each other. 5. Split it Up All furniture arrangements take on a certain form or totality. For example, if you have a large rectangular spaces it can be split into separate forms or spaces. Think of creating zones within a room; one zone could be for the media area and another for conversation.